We live in an instant world. So why wait for perfectly chilled, sparkling or kettle hot water? 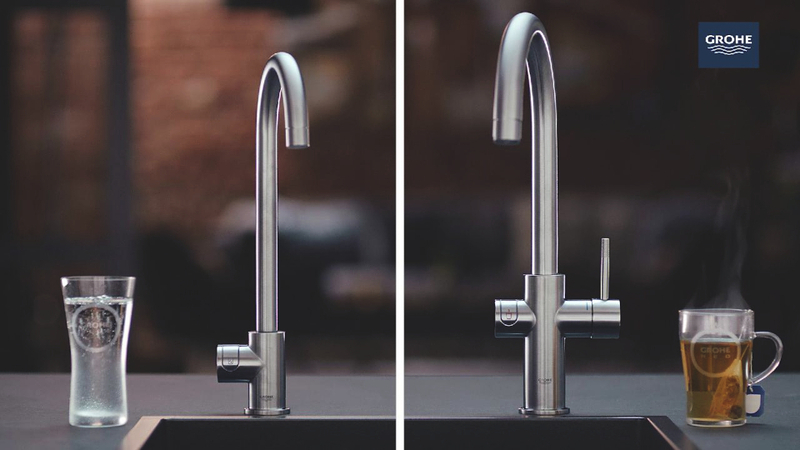 GROHE Water Systems with GROHE Blue and GROHE Red deliver perfect taste and kettle hot water straight from the tap: “Water reinvented”. Introducing kettle hot water on demand. Purchase your qualifying GROHE watersystem now and complete the cashback claim form.